I just bought this off Ebay. I have owned several VSX 49 TXi's and they say thats the flagship, but i have had numerous board problems with this specific model (the 49 TXi) that the 47 TX did not have. I dont know if the i-link has something to do with it, but ive had pretty bad luck with the 49 TXi. I dont know if its a crapshoot, or if the 49 TXi really has issues. I even sent my last one in (49 TXi) and it could not be fixed. IMO, the 49 TXi is garbage. Not very reliable. 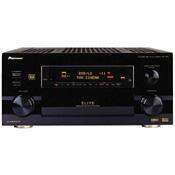 I know this receiver is 15 years old, but it still sounds great, can drive my 15" Cerwin Vegas with ease. I actually traded a Sony DA777ES for the 47 TX and I couldnt be happier. Its nice to finally have an elite that does not have the "no sound" or "Sound only on B-direct" issue. This has a huge torodial transformer and Caps that resemble cans of V8 juice.. It reminds me of the old school SX-1050 or 1250. So much power its crazy. Im hoping this will last another 15 years. If you want good advice avoid the 49TXi and get the 47 TX. Noone uses that dumb i-link anyways. Im using this in a 3rd bedroom, and usually after im done giving it a whirl, ill have to rearrange all the photos on the wall in our house as the bass hits so hard and deep..
Not sure about the reviews of someone calling this a "too bright" receiver. If you want a receiver thats too bright, go buy a Sony or Denon. Pioneer is very bass heavy. I Can say compared also to the new SC series of elites, this will blow them out of the water (Sound wise, not feature wise) So if you want a good 2 channel (or surround) amp, I would recommend the 47TX, the 49TXI's little brother. For a slightly different chipset, and 1200$ cheaper. But you still get the copper upgrades, just think the back panel is not copper, but the bottom is. Oh, and try to make sure you have a remote for this as well. The calibration mic is in the remote, but not to worry, if you dont have the remote, the stand alone mic will work too. I would think you can buy a nice working one, even in 2016 for around 300-400$, but again, make sure a remote comes with that price, if no remote i'd pay about 250$. All the goods of the VSX49-TX with a very substantial savings.Auto setup feature a definite plus which is now available on lower line Pioneers. You can now buy 90% of this sound quality and features for well under 50% of the price. All around great receiver. It has an effortless full sound.The high is clear and crisp without being too forward and is a great match with the Studio Series from Paradigm.The MCCAC, (sounds like something the cat is trying to hack up)does a good job of setting up the system, but with a bit of finer tuning with the old SPL meter from Rat Shack this baby just sings......The direct pass thru for good old stereo listening is a delight to listen to.I presently have my main speakers bi-amped thru the unused rear surroud and main LR and there is no shortage of clean wattage. Runs quite hot - don't even think about putting another component on top of it. Remote is decent but buttons are small and not well placed. Buy a Pronto and put this one in a drawer. I had a vsx27tx that had audio drop out problems. After the 3rd trip to the shop I was ready for a refund and a Marantz product, but Pioneer came to the rescue and gave me a no charge upgrade to the 47. The difference is fairly dramatic. Very versatile. Outstanding D/A converters makes it sound incredible. Great video switching. Enough power to light up my 25 X 30 room. Way too many features to list here. May be just a tad on the bright side but you can compensate for that with the auto EQ feature. I had looked at Marantz and Denon products but I really feel that this unit is at least on par with anything else out there. I am very pleased. I upgraded from my 29TX to the 47TX about six months ago. All I have to say is 'wow, is this thing awesome!!'. The sound quality that the 47TX produces makes the 29TX sound like a tin box - seriously! I've had various people who heard my old system comment that the new one sounds amazing! The 47TX is one solidly built, serious piece of equipment! Bravo Pioneer!! Crystal Clear Warm Sound In all Modes.Blows the 29Tx away.Great remote easy to understand. duh - are you kidding,other than weighing 60LBS this unit is fantastic. I also was having problems with my 29TX,after 3 attempts to fix it by Pioneer,they decided to offer me an upgrade with some cash layout.Was offered the 49tx,47tx and the 37tx.I choose the 47 and could not be happier.It does not run as hot as my 29tx did,and the sound is just fantastic in all modes.Setup took about 1 hour as pioneer has an automatic speaker system setup that is spot on!!! !If you can afford this model I say buy it,you wont need to upgrade from this 1 for a LONG time. The chassis is very well made,inside very clean design no unsued space. Very big power supply and so are the capitors. New heat sinks are used to get unit cooled. At the back of vsx47tx the binding posts are well made, plug ins for cd player and other units very easy to work with. I love the looks and the build of this unit. I think this one will be in my reference system for some time. The weight of both my bryston BP20 & 4Bst are just 58 58 lbs still less than the vsx47tx. Now does that say anthing about this 62.7 lbs beastthat PIONEER ELITE has built. It is very heavy but thats not all that bad. To new to tell. After having had problems with my VSX 29 TX, It was time to call pioneer head office. It took about five days when we both came to an agreement. They keep my vsx29tx and I was offer the vsx47tx or the vsx49tx plus some cash. The remote isn't like the older vsx29tx, but after reading the manual the vsx47tx wasn't all that bad. I would Really LOVE to say thanks to Pioneer for doing the right thing and making the customer satisfied. Their commitment is to achieve total satisfaction for each Pioneer customer they serve. I am glad to have bought another reciever from Pioneer ELITE, they stand by their products. The vsx47tx is the same build front and back has the vsx49tx. Weight for vs47tx is 62 lbs has for the vsx49tx it is 65 lbs. The different is the remotes and some added circuits. They both do many thing the same like OSD and programability of other stereo equiment. Very nice make over from days gone by when they used plastic fronts for unit. This is a new beast all together one worth the money 5.1 DTS sounds so very clean. The amps in this unit just blow my old vsx29tx out of the water. The manual is 111 pages long,read it a fue times it helps. The vsx47tx lists for $3700.00 CDN. Oh if you live in canada buy it here. Because the warrenty in the US is 2yrs, and canada is 3yrs. If it should break and it's from USA you have to send it back to the US for service. This vsx47tx was delivered Sept 19. 2002 and was made in April 2002 in Japan. Stock on these units the vsx47tx and vsx49tx are moving fast in Canada. Now I know why people love them.